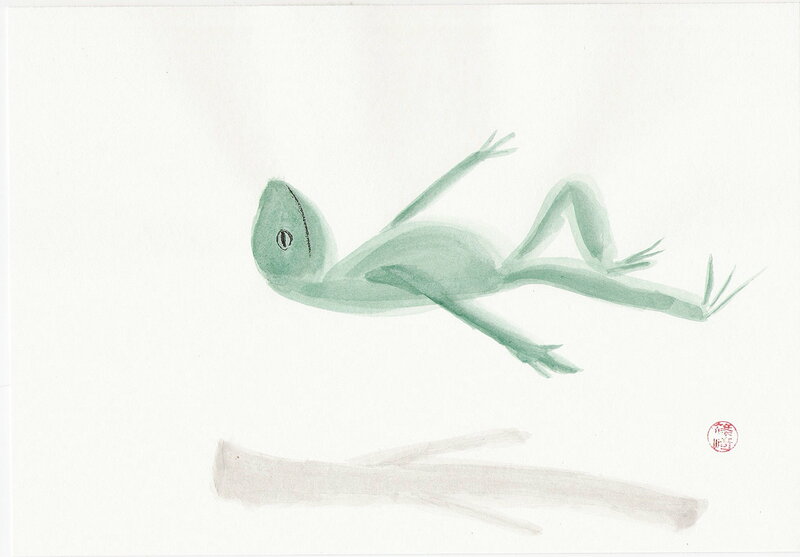 One of the most intriguing parts in the book I’m reading, Uncertainty by Jonathan Fields, is about frog levitation. “What?” you say. You heard right. Scientist Andre Geim was conducting such experiments. He and his colleague Konstantin Novoselov conducted all kinds of improbable experiments, which they called “Friday Evening Experiments.” Did they really hope to make frogs levitate? Maybe. But what they were actually pursuing was creative abandon. The genius that comes from asking a lot of questions and letting go of preconceived notions and the need for particular outcomes. Not all of their experiments were successful, in fact some failed wildly, but at least one of the “Friday Evening Experiments” resulted in the two researchers winning the 2010 Nobel Prize. I have to offer a special thanks to one of my illustration critique partners who so kindly pointed out that my frog was missing one very important element in order to truly levitate. Its shadow!